Obed Kareebi, a ranger with the Uganda Wildlife Authority, marches through the dense forests of Kibale National Park in Uganda, an area with one of the highest concentrations of primates in the world. While the park is better protected than many forests in Uganda, nearby tea factories have begun cutting down trees around the perimeter of the park to plant a monoculture of rapid-growing eucalyptus trees that will provide firewood to process tea. Due to limited resources and capacity, Obed usually sticks to the same well-worn footpath for his patrol, and only explores further based on intuition or scarce information. In doing so, he could miss illegal deforestation encroaching just beyond his regular route. Satellites overhead see the clearing that Obed misses – but he keeps on walking, oblivious to the incursion on the protected area. It won't be until later, if ever, that he finds a deforestation alert on Global Forest Watch (GFW) and can return. The damage may already be done. Deforestation often happens beyond the view of those with the mandate or power to stop it. While systems like GFW monitor forests remotely, those on the frontlines of deforestation often lack internet connection needed to access and act on this information. A new mobile app called Forest Watcher changes this equation. Forest Watcher is designed to allow easy, offline access to data about forest change from Global Forest Watch. The app displays forest change straight on the mobile devices in the hands of forest managers, indigenous communities and law enforcement anywhere in the world, regardless of connectivity. After first installing the app and caching data to your device, the app directs users to nearby forest clearing – even without a cell signal. It also enables users to capture photos and fill out forms about deforestation they do encounter, which they can upload when back within internet reach. By connecting "eyes in the sky" with boots on the ground, deforestation can be located and reported more easily than ever before. Recent advances in satellite monitoring have enabled a quantum leap in our understanding of the global deforestation. But people on the ground remain best positioned to monitor forests and manage their resources. For example, WRI analysis indicates that forests are better protected when local communities have the right to manage them. Research has also shown that local people can collect information about forests that is of comparable quality to scientists, but at half the cost. And since 2009, the Jane Goodall Institute's work has demonstrated that mobile technologies can empower local communities to monitor and better manage their forests. Designate area(s) of interest to monitor. Download various satellite-based forest change and other contextual data (e.g. near real-time deforestation alerts, protected areas and intact forest landscapes) onto a mobile device. 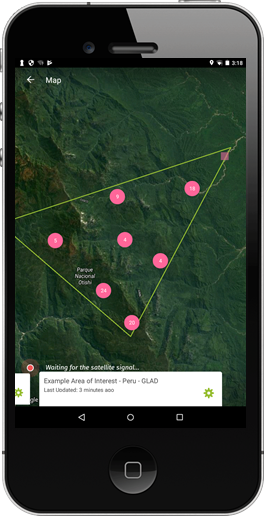 By linking remote sensing systems to local forest monitoring efforts, Forest Watcher brings the analytical power of the space age to the palm of every environmental defender's hand. "With Forest Watcher, we can now have intelligence-led patrols in Kibale National Park," reported Agaba Hillary Kumanya, a senior warden for ecological monitoring with the Uganda Wildlife Authority. "We no longer go randomly to places, but instead know where to look for the latest forest loss." 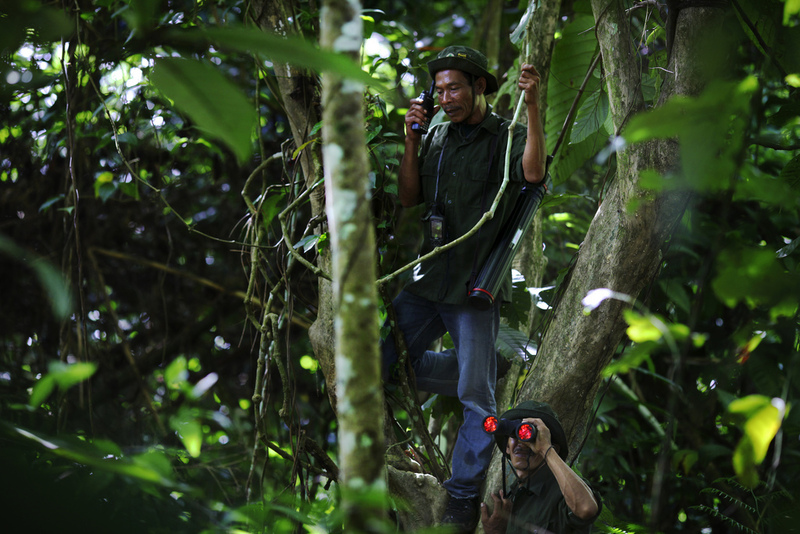 The app has already proven useful in increasing effective patrols of protected areas, which are vital to protecting the world's last remaining forests. An earlier version of Forest Watcher has been developed and used in Uganda since 2014 by the Jane Goodall Institute. JGI trained hundreds of private forest owners, forest authority offices and protected areas rangers how to use mobile tools to navigate to GFW deforestation data in the field and collect evidence to support conservation action – leading to prosecution and fines for offenders. In Indonesia, HAkA deployed Forest Watcher with local forest monitors in the Leuser Ecosystem – the last place on earth where orangutans, rhinos, elephants and tigers are found together in the wild. Previously, these rangers would manually inspect raw satellite imagery and send patrols to the field to collect information using pen and paper. With Forest Watcher, they can quickly locate new alerts, automatically detected by GFW, and collect GPS points, photo evidence and descriptions of the scene on their devices. This allows them to more efficiently report evidence to local authorities, increasing information available for investigation and prosecution of illegal activities. These improvements in turn support broader efforts against deforestation: Forest Watcher can support initiatives like REDD+ (Reducing Emissions from Deforestation and Forest Degradation) and corporate zero-deforestation commitments, both of which require reliable, affordable consistent monitoring to be effective. As countries announce goals towards the Paris Agreement, improved forest monitoring represents a key step towards incorporating deforestation into global climate action. Critically, Forest Watcher also helps ensure that the fruits of the big data revolution reach those on the frontlines who need forest information most. In the case of Kibale National Park, Forest Watcher and GLAD forest loss alerts helped Obed Kareebi successfully detect new deforested areas along the park boundaries. 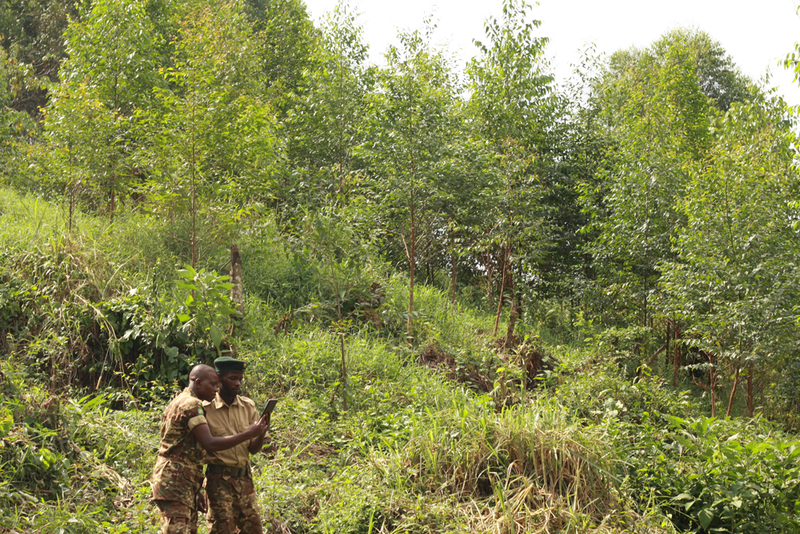 "Thanks to GLAD alerts, the park management were able to prevent further illegal activities and encroachment that could have spread deeper into the national park," according to Timothy Akugizibwe, the Jane Goodall Institute officer in Uganda training rangers to use Forest Watcher. Become a Forest Watcher today and download the app through the Apple or Google PlayStore. The app is open source, free to use, and available in English, French, Portuguese, Spanish and Bahasa Indonesian. To learn more about how to use the app, see our tutorials. Tell us how you're using the app or suggest ways to improve it by emailing forestwatcher@wri.org.